This will be in English and Kreyol. The morning will be a presentation on the principles of syntropic agroforestry. In the afternoon there will be a practical session where we will plant seedlings and seeds, following a detailed planting scheme. Bring your boots! 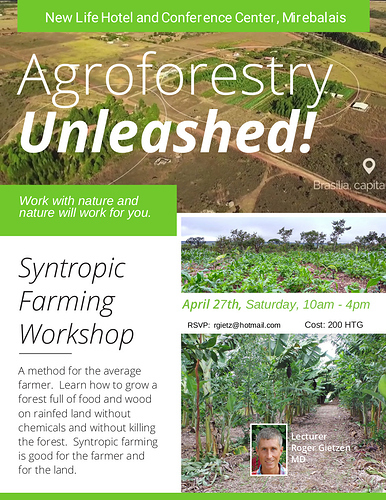 Syntropic agroforestry allows the average farmer to grow an abundance of food, animal fodder and timber on their farm. This method is beyond sustainable and beyond organic. 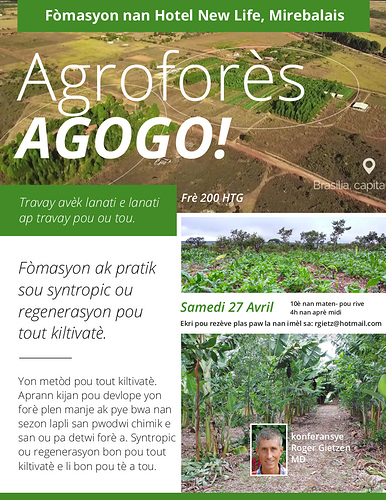 There will be a guidebook in Kreyol and English, which reinforces this technique. A free pdf or print copy available at cost. Lunch can be ordered for an additional fee. Plus there are lodging accommodations available for those who want to spend the night. 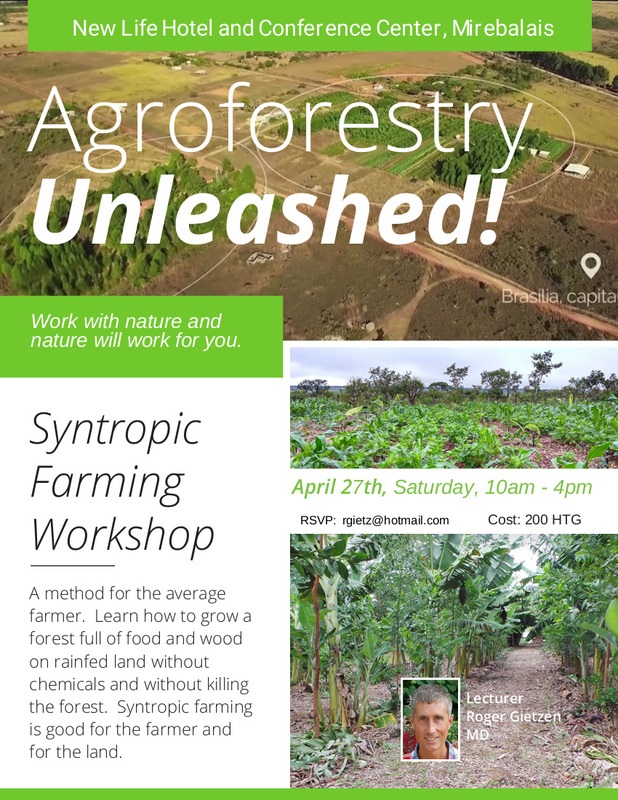 I promise an informative session and believe most attendees will leave with enough knowledge to start a syntropic food forest. Managing a system like this is a separate topic, which becomes pertinent about 2 years after planting. This topic will be covered in the future.